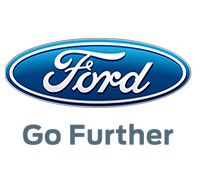 Ford Motor Company of Southern Africa (FMCSA) is expanding its operations at the Struandale Engine Plant in Port Elizabeth as part of a wide-ranging investment in its two South African plants, announced late last year. “We are delighted to confirm that, as part of the R3-billion investment announced in November 2017, we are expanding both the capability and capacity of the Struandale Engine Plant for our current and future engine programmes,” says Jacques Brent, President of Ford Middle East and Africa. “The investment includes the installation of a sophisticated new assembly line for an all-new diesel engine program that will, most notably, power the exciting new Ford Ranger Raptor when it is launched in 2019,” Brent adds. “At the same time, we are boosting capacity for the current Duratorq TDCi engine that is used in the Ford Ranger and Everest, with new derivatives and additional European markets being introduced for the local operations,” he says. The new diesel engine assembly hall is located in a totally revamped 3 868 m2 section of the Struandale Engine Plant, and boasts Ford’s latest, state-of-the-art manufacturing processes that guarantee the highest standards of workmanship, product quality and performance. Eight derivatives of the new engine will be assembled at the Struandale Engine Plant when production officially commences in the fourth quarter of 2018. The new assembly line has an installed capacity of 120 000 engines per annum. The current component machining and assembly lines for the Duratorq TDCi diesel engine, which has been produced locally since 2011 for the Ford Ranger and Everest, are also being expanded. Ultimately, the Struandale Engine Plant will become the home of all Duratorq TDCi engine component machining for the Ranger, Everest and Transit, along with expanded engine assembly in conjunction with current operations at Ford plants in Thailand and Argentina. “This places our South African business in a central role within the global Ford network, and reaffirms our commitment to developing the automotive industry within the local market, and in the broader Middle East and Africa region,” Brent adds. With the additional 2.2-litre engine derivatives officially coming on line in the fourth quarter of 2018, the Struandale Engine Plant will be assembling a total of 56 variants of the award-winning Duratorq TDCi engine. Installed capacity for the Duratorq TDCi program is set to increase from the current 254 000 machined component sets (cylinder head, block and crankshaft) to 280 000, while assembly capacity will grow from 115 000 to 130 000 engines per annum. To accommodate the significant production expansion for the two engine programs, a brand new warehouse was built at the Struandale Engine Plant. The new 5 418 m2 facility was designed to house all the required parts, components and tools on-site to maximise production efficiency for the two engine programs.